High Speed 2 (HS2), Britain’s single biggest infrastructure project of this millennium, cleared its final hurdle last week construction works will now begin in Spring. The project received Royal Assent on 23 February and this Act of Parliament means the nine-year programme of works will start on time. Phase One sees the route between central London and Birmingham completed with connections to the North following on from that. Final confirmation of the project is brilliant news for investment in the West Midlands. 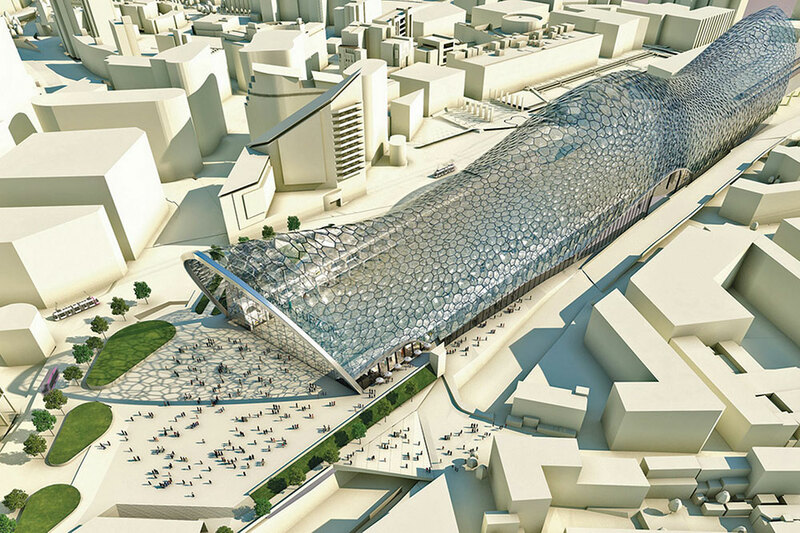 The rail link will without doubt be a major catalyst in driving economic growth in the region and particularly around the planned Birmingham Curzon terminal pictured. Reports suggest the project will unlock over £1bn in regeneration opportunities in a city which has recently had billions pumped into it for regeneration, including the development of the Smithfield area, the Southern Gateway and a new cultural quarter in the east of the city. Major Specialist packages of work are out to tender on HS2’s enabling works now and are expected later this year for the Construction packages. Couple this with the additional investment in Birmingham and the surrounding areas and C-Link are forecasting massive opportunities for Specialist Contractors and Suppliers in the coming months. Similar exciting projects across the UK are found on C-Link and Specialists are winning contracts daily on the platform. To understand more head over to the website www.C-Link.com now.